The 5th annual CBC4Kids (Christmas Bird Count for Kids) was held on Saturday, January 5th at Camp Chowenwaw Park in Clay County. More than twenty children ages 8-16 learned some basics about birds and binoculars with "Birding Boot Camp," then split into small groups and hit the trails for a 60-minute bird walk with an experienced local birder to see what birds they could find and identify. Birds spotted by the kids included: Bald Eagles, Ospreys, Turkey Vultures, American Robins, Cedar Waxwings, Ruby-crowned Kinglets, Black-and-white Warblers, White-eyed Vireos, Blue-headed Vireos, and many more! This fun winter event celebrates birds while engaging youth in real Citizen Science. 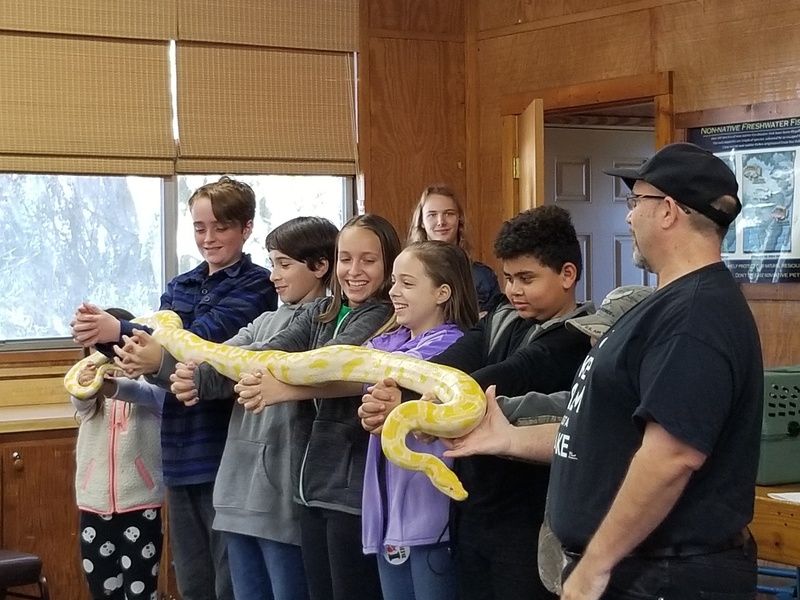 After the bird walks, everyone enjoyed a wonderful wildlife program from Mike Rossi of Wild Wonders Animal Show, which allowed the kids to get up close and personal with a variety of animal species. Many thanks to event sponsors Camp Chowenwaw Park, Clay County Parks, and Wild Birds Unlimited of Julington Creek, who generously provided snacks and prizes for the event. Learn more about the event in this article published in Clay Today. Thanks to your support, we are purchasing a brush mower and trailer for use in maintaining Crosby Sanctuary. This will make a huge difference, especially in the spring and summer growing seasons, in the accessibility of the land and trails. In the past we have had a lot of difficulty getting the area mowed regularly and we are looking forward to this change. However, we do need more tools. Please consider donating your spare (working) yard tools to Duval Audubon Society. Needed are: hand saws, chain saw, edgers, trimmers, shovels, rakes, axes/hatches, gloves and almost any other useful yard tools. Please note: there is no electricity, so we cannot use electric tools unless also battery-operated. 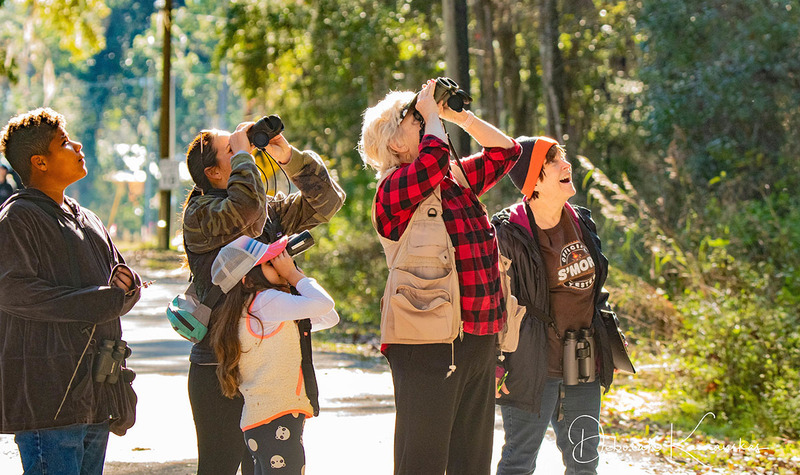 To donate: bring your tools to Crosby Sanctuary on an upcoming Crosby bird walk/workday (next ones: February 23 and March 23); bring your tools to an upcoming program (next ones: February 18 and March 18) or field trip where they will be passed on to Pete Johnson, Sanctuary Director; or, contact any Duval Audubon Society board member who will arrange for the tools to be collected. Duval Audubon Society is celebrating its 80th anniversary this year! 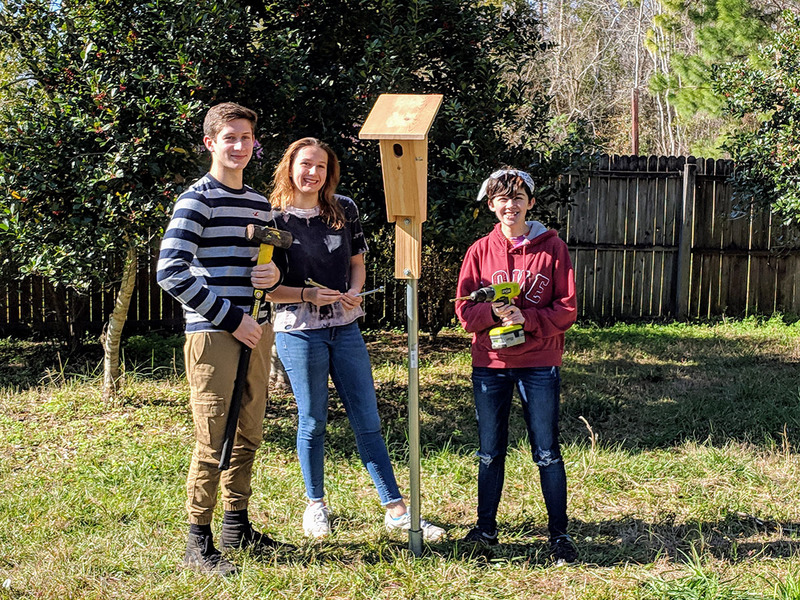 Founded in 1939 as a chapter of the National Audubon Society, Duval Audubon Society has been connecting people with nature through regular field trips, programs, educational outreach, and volunteer opportunities for many years. We recently ran across an article from the Florida Times-Union all the way back in 1956! 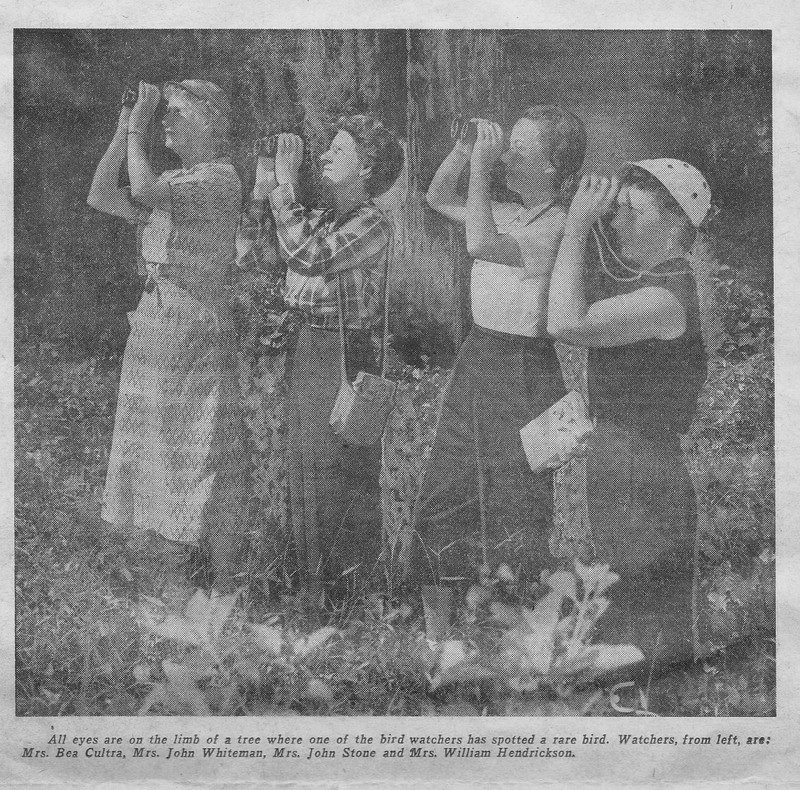 Entitled, "They Watch the Birds," the article describes the chapter's almost weekly field trips to locations near and far, Florida's incredible bounty of bird species, chapter members' participation in Audubon's annual Christmas Bird Count and educational outreach activities, the value of the pest control services provided by birds, and the health benefits of getting outside in nature - sound familiar? We are still just as enthusiastic about birds and nature as we were in 1956, AND 1939! We hope you will join us at an upcoming field trip or program soon! Check out our calendar of events to see what's coming up, and follow us on Facebook, Meetup, and Instagram! Click the event for more info! 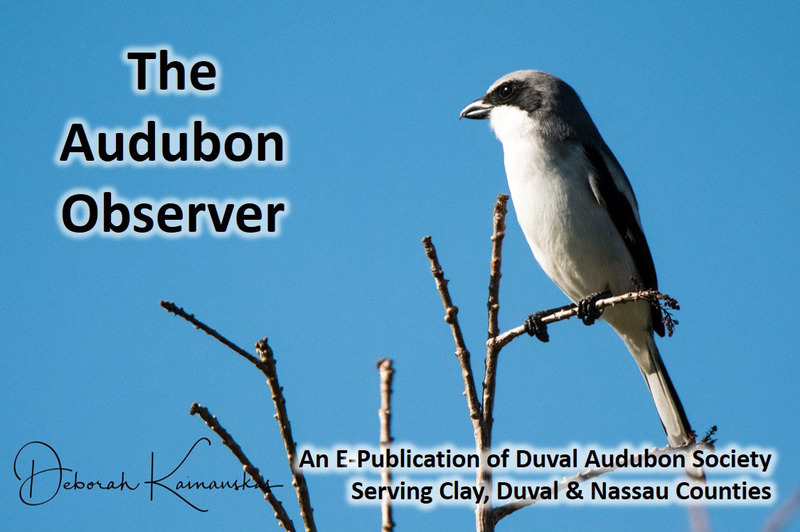 Duval Audubon Society is an all-volunteer organization operated by a Board of Directors who manage the day-do-day business of running a chapter of the National Audubon Society. Current board openings include: Clay County Conservation Chair, Corresponding Secretary, and Volunteer Chair. 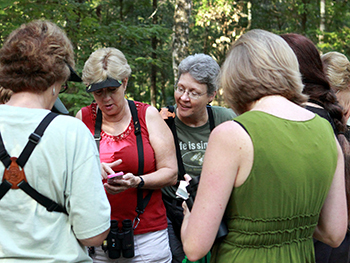 If you would like to join our board to help our chapter achieve its mission of connecting people with nature, please contact chapter president Jody Willis at jody_willis@comcast.net.